Hi All, I have not gone to the grocery store for a few weeks for a proper shopping trip, since the fridge is still functioning at 50%. Instead of wallowing in my agony, this has become an opportunity for me to make do with whatever we have in the freezer and pantry, and it sure is nice knowing I can give the fridge a proper cleaning, also it’s not bad to be able to figure out the inventory, because the lights inside are finally not being blocked by mountains of food, and we can finally see clearly! Below is the original posting from July of 2010, this recipe has been tested numerous times, and always a hit with the family. Hope you will enjoy also! My addiction to cooking with slow cooker has not lessened, so today I’ve found another recipe to use with the fresh short ribs that were purchased from the market, of course I put some small twists to the original recipe to make it my own, and gotta tell ya, the result ain’t half bad! 1. Peel the onion and chop it into wedges. 2. Place the onions at the bottom of your slow cooker. 3. 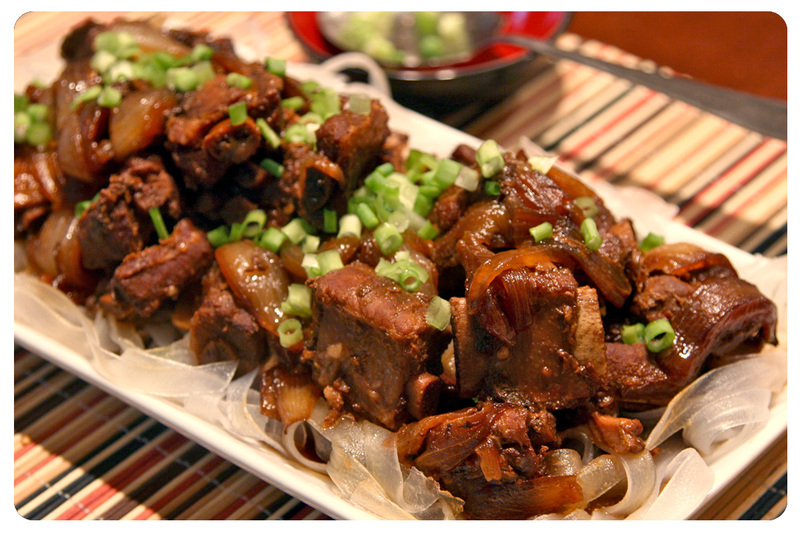 Arrange pork ribs on top of the onions. 4. Peel the garlic and then mince the cloves. 5. 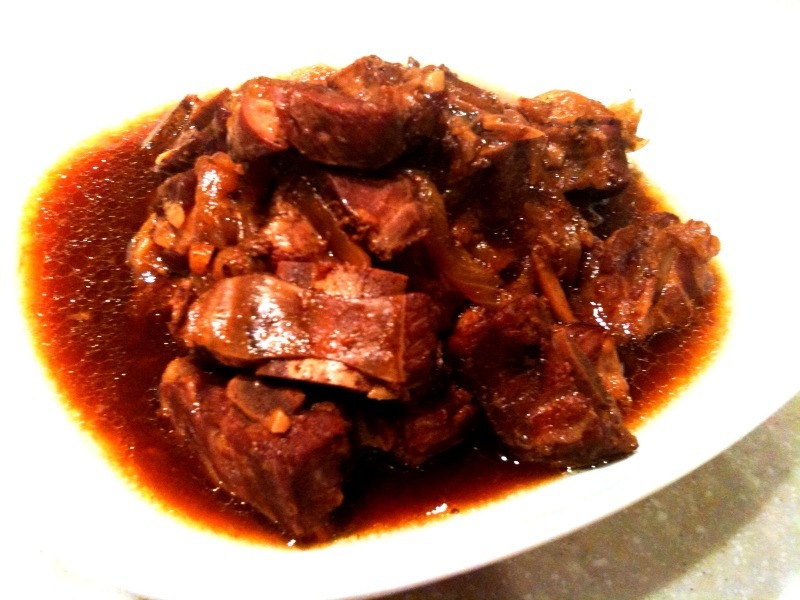 Combine the honey, soy sauce, Korean bbq sauce and garlic in a medium-sized bowl. 6. Stir until everything has blended evenly. 7. Add in the dry spices and continue to stir until all ingredients are evenly mixed. 8. Pour the mixture over the ribs in the slow cooker. this look so good! I’ve never tried ribs with 5 spice powder before, gonna try this. Do you think it will work with beef ribs? Hi Shannon! I assume this would work well with beef ribs just fine. slow cookers are just so awesome, dump everything into the bowl, set it then forget it, especially when it comes to pork and beef, the tender meat, yum!